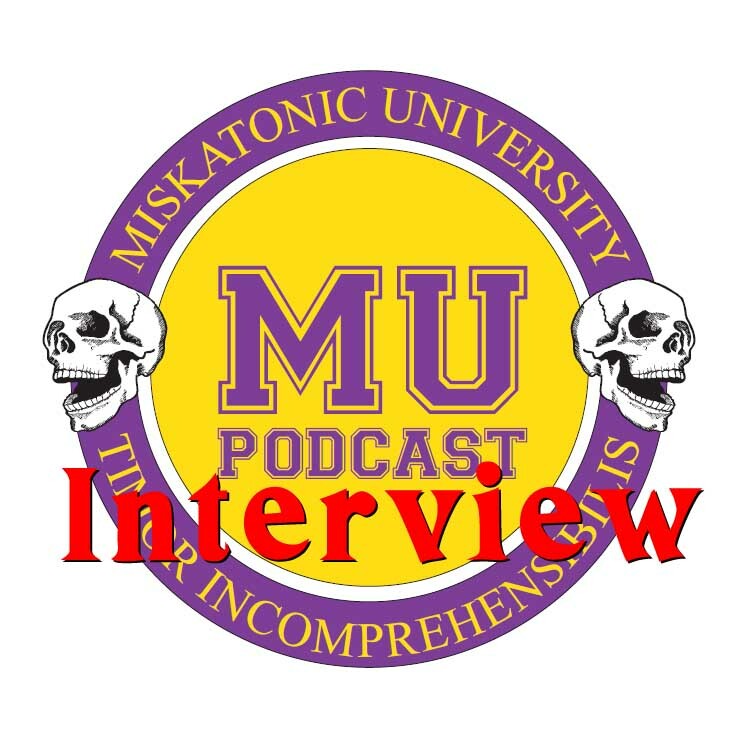 In this episode, all four hosts talked to Mike Mason about the Miskatonic Repository and all kinds of tips for beginning writers. We also ended up revisiting a certain kleptomaniacal monster. The interview portion was recorded on March 3, and the Crier was recorded on March 8, 2018. First, a big apology. Back in late 2016, we switched our feedback email over from an old MU website address that wasn’t working to a gmail account. mup.feedback@gmail.com. Due to a couple of tech glitches and a communication train wreck on our part, that address has gone unchecked since November 2016. We recently discovered – with complete dismay – that there were almost 40 unanswered feedback emails in the inbox. To all of you who sent something in only to hear resounding silence from us, we are very sorry. We have since contacted all of you that sent in an email, but if you think you have been overlooked, then please contact us again and let us know. From December 2017 Glenn emailed us and let us know about a Patreon for a Lovecraftian RPG that is currently in development called Journey to the Tree of Sorrows. A little more than a year ago RPG Coasters did a campaign to launch hardwood drink coasters themed specifically for Cthulhu RPG. These are pretty cool – they include investigator professions like parapsychologist and antiquarian so your game group can maybe have a special coaster for each party member. You can also have the text customized to say what you would like. I bought one of the Keeper coasters and will update us when it arrives. We also got a nice bit of feedback from a blogger who runs Brawl of Cthulhu, where they have a blog post about each of the monsters in the Malleus Monstorum. The Masks expansion for Fantasy Flight Games’ Eldritch Horror is now out for general release. There is a new Kickstarter out for Lovecraft Preparatory Academy, which seems to be a mash-up of Lovecraft, Miskatonic University, and Harry Potter. You can get the game in PDF for $15. The link is in the show notes. Yann Demange Enters “Lovecraft Country” for Jordan Peele! In his U.S. TV debut, British helmer Yann Demange is set to direct and executive produce the first episode of HBO’s high-profile straight-to-series drama “Lovecraft Country”, from newly minted Oscar winner Jordan Peele (Get Out) and his Monkeypaw Productions, J.J. Abrams’ Bad Robot and Warner Bros Television. Friend of the show Matt Puccio has released “A Light in Darkness” – A dark, survival horror scenario for Call of Cthulhu 7th Edition, set in the Pacific Theatre during World War II. Includes 8 pregenerated characters, special-purpose insanity cards and weapon cards, maps, and other player handouts. Designed to run in 4-5 hours for 3 to 6 players. We talk with Mike Mason about what the big idea was with the Miskatonic Repository, and some tips for new writers to keep in mind – from an editor’s point of view. We also wander into the Bestiary to discuss how to make Dimensional Shamblers less one-dimensional.